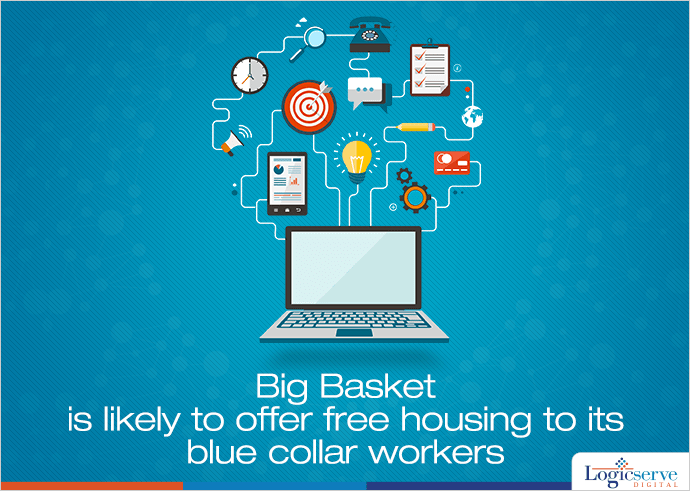 In an attempt to secure its existing blue collar workers, Big Basket is all set to offer free housing to them. In an attempt to secure its existing blue collar workers, Big Basket is all set to offer free housing to them. It is very likely that the dormitory styled accommodation will be located near its warehouses and pickup points. Through this initiative, Big Basket wishes to scale up their productivity quotient and be in a better position to retain them considering the monotonous nature of their job and their migrant status. Within the next two months, nearly 1500 of its workers will be provided with housing facilities. Also, Big Basket has plans of employing 4500 more employees by next year. Weekend Digital Media Round-up: Google’s new AI, Facebook’s WhatsApp feature, Snapchat’s new feature to share content outside app and more.. Weekend Digital Media Round-up: Google testing new lightweight version of search for slow speed networks, AdWords Universal App Campaigns take over, Facebook’s selling in-stream-only video ads and more..